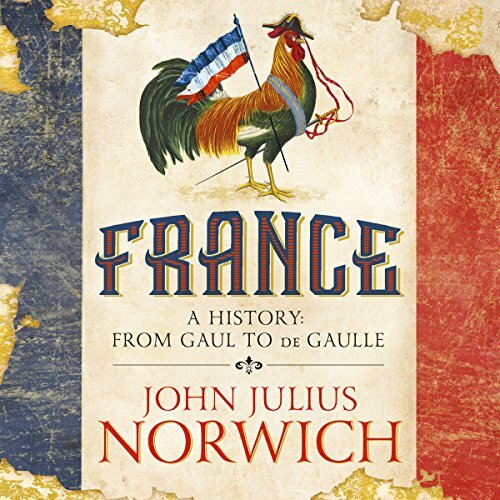 A witty approach to 2,000 years of French history from legendary popular historian John Julius Norwich. 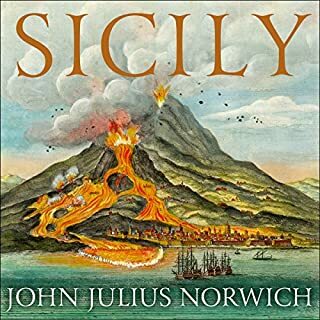 John Julius Norwich (at 88) has finally written the book he always wanted to write, the extremely colourful story of the country he loves best. 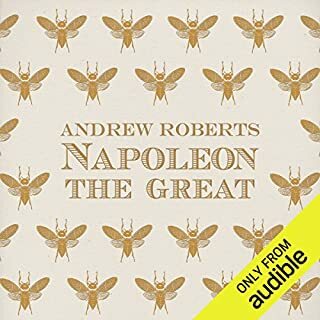 From frowning Roman generals and belligerent Gallic chieftains to Charlemagne (hated by generations of French children taught that he invented schools) through Marie Antoinette and the storming of the Bastille to Vichy, the Resistance and beyond, France is packed with heroes and villains, adventures and battles, romance and revolution. Full of memorable stories and racy anecdotes, this is the perfect introduction to the country that has inspired the rest of the world to live, dress, eat - and love better. This book goes very fast. 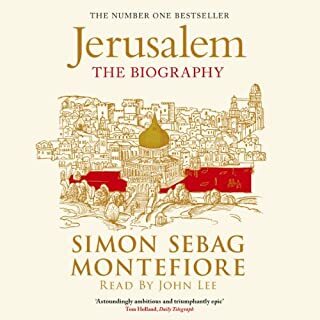 Partly because it seldom dives into too many historical details but mostly because it is well told, with humour and passion. As the man say, he loves France and love letters, or book as this is, are thrillingly intimate to read. 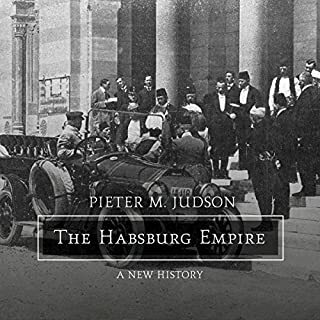 The authors deep love and interest in the subject makes this short history engaging. 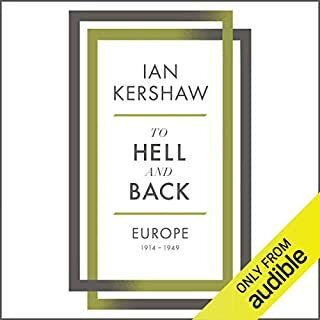 if as I you are looking for a book to give you a decent introduction to France. Look no further. Interesting narrative with baits and foreshadowing, such as "It was the last decision he would make" which keeps you curious about what is around the corner. A beautifully narrated overview of French history. 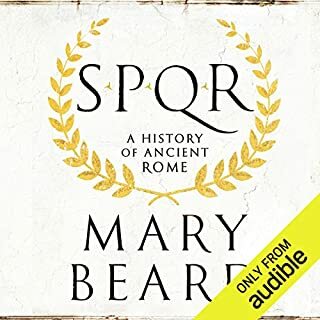 Highly recommended for fans of popular history, although not anyone who doesn't like hearing a lot about kings and queens. 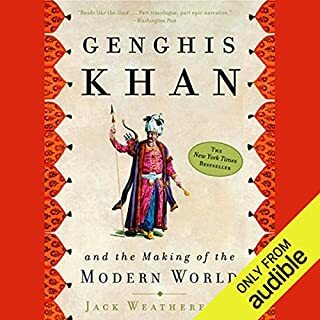 A fantastic and engrossing listen. Be sure to know what you are getting into however. 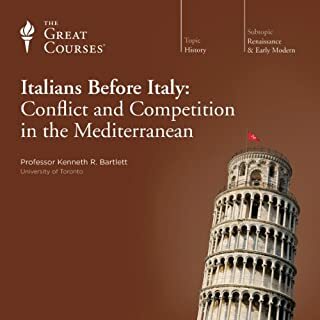 As the introduction makes clear, this is not a serious scholarly work. 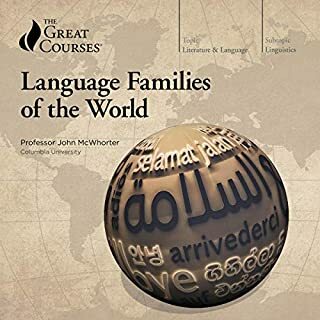 The author very clearly warns of the limitations of this book and that it will of necessity truncate and lack a certain precision. If you cannot live with this, do not buy. If you already know the history of France well, do not buy. 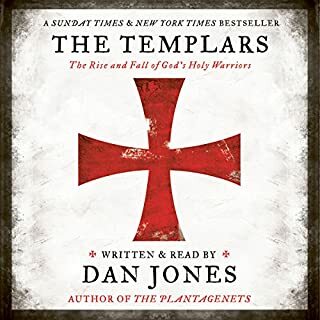 On the other hand, if you know only some of French history or know parts but struggle to connect it all in a grand narrative, this could very well be the book for you. The book is read by the author himself. I found his voice and pronunciation (both English and French) nigh impeccable. 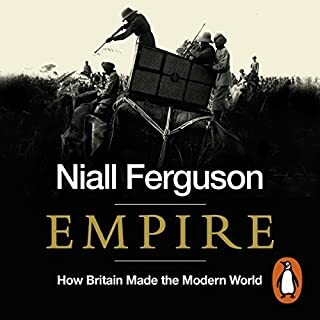 He narrates throughout the book as though he is telling you a fond memory of his childhood (which, in the later chapters, he is as he is the son of the first post-war British ambassador to France). He injects a real passion into the storytelling and I have blasted through all 16 hours in just under these days when I planned to take a couple of weeks at least. All in all, highly recommended , subject to the above, which the author would probably also warn. 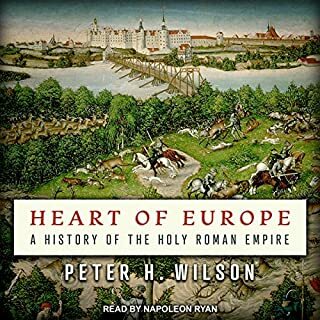 Perhaps the single best history book I have enjoyed. And I feast on history. written and read with emotion, understated wit, and love. 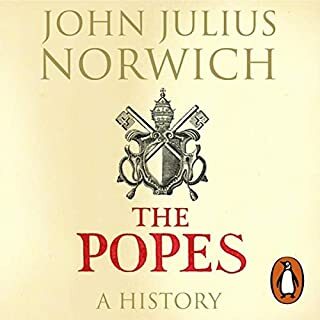 Norwich's book is doubtless an excellent introduction to a history of the French monarchy and, later, to the Republic. But the book says little about the development of the French as a people, and even less about French culture or cultures. It is a curiously reactionary work. Norwich's narration is superb and crackles with charm. Do not skip the very personal introduction. Lord Norwich's father was ambassador to France in 1945, and the author has vivid memories and funny anecdotes. The whole history is witty, accurate and contains much gossip on the affaires and mistresses of the ruling individuals. He loves France and it shows. Short history of France by an eccentric English Francophile. 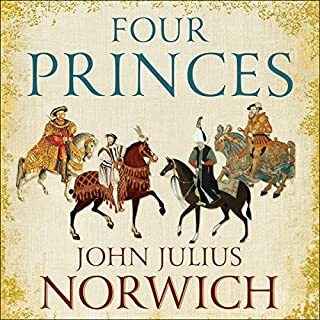 (Viscount) Norwich is an entertaining writer of accessible histories, but he can make careless mistakes. He’s obviously still in good form at 88, and it’s a pleasure to hear him narrate his own book. He was born of a colourful family and in the course of a long active life has met many important or notorious figures in 20th century history, and his father’s diplomatic career took him to the postwar British Embassy in Paris (Duff Cooper, 1st Viscount Norwich had the unenviable task of liaison with de Gaulle during his years in London and subsequently in Paris and had been one of the few British politicians to realise that Hitler was never going to be appeased, resigning from his Cabinet post after Munich). 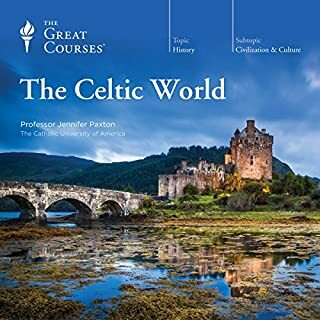 JJN, product of a traditional English private education, claims to have learned little history at school, mostly battles England won, Crécy, Azincourt, burning Joan of Arc... and Waterloo, by which time it was a UK army. Scotland having been in a long alliance with France tends to think of the earlier French defeats very differently, of course. 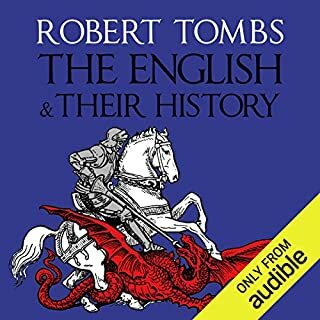 Many aspects of French history are familiar to the enthusiastic reader through its literature, but JJN does fill in gaps and provide continuity, and he is merciless towards certain English icons - Richard I, a useless king with an undeserved reputation as hero, for example - and all those destructive wars waged to assert English rule in large areas of France. His statement that Queen Victoria was the first British sovereign to set foot in France since the Field of the Cloth of Gold (Henry VIII) is just wrong; she was the first British sovereign ever to go there, given that Henry was only an English king, James VI and I having been the first British sovereign, and, if he’s thinking in terms of monarchs of any part of the UK, Mary, Queen of Scots (briefly Queen Consort of France) lived there long after Henry died. He’s good on some of the less well known presidents of the 3rd republic (he actually met the woman found in flagrante with Félix Faure as he died, when she was very old and living on the Sussex coast, having been acquitted of a double murder before crossing the Channel!) but light on the Occupation, favouring military topics of WWII. It is a short history, so personal choices have to be made- he never claims to be writing a comprehensive account, which would run to many volumes- and reach a smaller readership, which would defeat the object of informing non-specialists. Brilliant book. Full of wit and anecdotes. 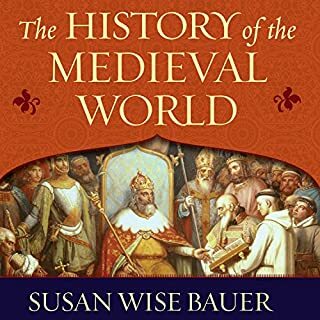 A subject we often know very little about especially mediaeval France. too much micro calendar detail - cant see the wood for the trees. just boring. Really enjoyed this ‘read’. J.J.N. 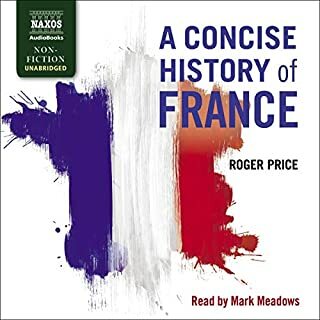 As narrator has a fantastic, relaxed delivery which puts the listener at ease and draws you into the many extraordinary stories which make up the history of France. Would thoroughly recommend.